El Tigre or ‘the tiger’ as hes known by fans was widely regarded as one of the best forwards in world football. His record-breaking €60 million move to the opulent city of Monaco further signified his status as one of the games elite players. “He has won everything in a season in which he scored many goals. He is, today, the great reference of Colombian football.” Those the words of 5-time Ballon D’Or winner Lionel Messi in 2011. 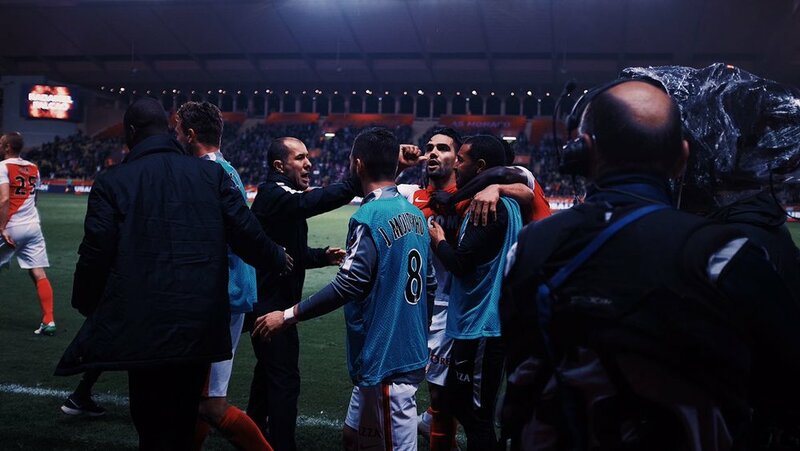 Ever the optimist, Falcao brushed off his injury in the Coupe de France as nothing more than a minor set-back. Fast-forward 24 hours and scans would reveal a much more serious issue. El Tigre had damaged the anterior cruciate ligament in his left knee. Not only would the striker miss the remainder of the French league season, he would also fail to make the World Cup. The forward marked his return to action at the start of the 2014/15 season with a goal, however, his converted penalty proved futile as opposition Lorient ran out 2-1 winners. Unfortunately, Monaco’s concerns ran far deeper than just the result. The clubs backroom staff began to voice concerns about Falcao’s long-term wellbeing, both mentally and physically. Amid transfer rumours the board and manager Leonardo Jardim took the decision to cash in on their prize asset while he was still of high value. The Colombian’s next destination took him to English shores and, more specifically, to the Premier Leagues most successful club – Manchester United. A £6 million loan deal with an option to buy for £43.5 million was agreed and El Tigre became a Red Devil. As it has been well documented, the season didnt exactly go per plan for Falcao or Van Gaal’s United. He only mustered 4 goals in an incredibly underwhelming campaign as he looked to have lost the spark that made him so clinical before his injury woes. Needless to say, Manchester United opted out of his permanent signature which saw Falcao end up on loan again, this time to England’s capital with Chelsea. Then Blues boss José Mourinho had high hopes for the Colombian forward and defended the club’s decision to purchase him. It hurts me people in England think the real Falcao is the one we saw at United. Mourinho confidence ultimately did not manage to rub off on his star striker as the move once again became a false dawn. He struggled in front of goal, only managing to find the net once in 10 appearances. That takes us to this season. The striker, now back at Monaco, looked a shadow of his former-self. This is a player who at the age of just 13 became Colombia’s youngest ever professional footballer, the Europa Leagues top ever scorer in a single season with 17 goals, and is his nation’s all-time leading marksmen, boasting 25 goals in 64 caps. Fortunately for the stoic striker, he came back to find a Monaco side at the top of their game. Falcao has seamlessly slotted into the current leaders of Ligue 1 and looks to be back to his very best. A return of 16 goals from 20 league games thus far is an indication not only of the Colombian rediscovering his mojo, but just how fluid and free-scoring Monaco have been in general this season. Manager Jardim has often been criticised during his 3-year tenure for adopting an overly conservative approach yet this year has proved quite the opposite. Monaco currently field a deep-lying 4-4-2 with heavy reliance on a youth-centric approach. Holding midfielders Fabinho and Bakayoko have both had sterling campaigns so far and this has therefore allowed the forward 4 players to flourish. Wide men Silva and Lemar give Monaco real versatility. They hug the touchline, stretch the pitch and provide lethal deliveries from crosses whilst also on occasion, cut inside and thread eye of the needle passes to the frontline. Moving on to the strikers and Falcao’s partner Germain has in many ways been a perfect match for El Tigre. One criticism levelled at Falcao throughout his career has been his work-rate off the ball, something Germain excels in. Like the strike partnership that won Leicester City the Premier League last year, Germain plays the Okazaki role, dropping deal and leading the press from the front whilst linking the teams midfield and attack when in possession. This allows Falcao to take the Vardy-esque glory, focusing solely on attacking movement and putting away the copious chances his teammates create for him. Moreover, at the time of writing AS Monaco have scored a whopping 60 goals already this season making them the top scorers in Europes big 5 leagues. Falcao may have netted 15 times thus far but with other players around him racking up the goals as well, it alleviates some pressure from the Colombians shoulders to constantly be on target and may be a contributing factor to his ongoing streak. Monaco currently sit at the summit of Ligue 1 on goal-difference over Nice and are due to meet Manchester City in the last-16 of the Champions League after topping their group. With PSG floundering helplessly under new boss Unai Emery and Guardiola’s men in the midst of a mini-crisis, theres no reason why the club cant continue into 2017 in the same vein they finished 2016. As for Falcao himself, the now 30-year old appears to be re-born and once again enjoying his football. He is back in the Colombian squad for the first time in over a year and free-scoring on Frances south coast. The tiger has risen from the ashes of his injury like a phoenix and is once again showing why hes one of footballs most formidable forces.